What do you say? Let’s meet at GFOA! Join Infor for drinks and small bites Monday, May 20th from 6-9pm. You may even bump into a few celebrities! 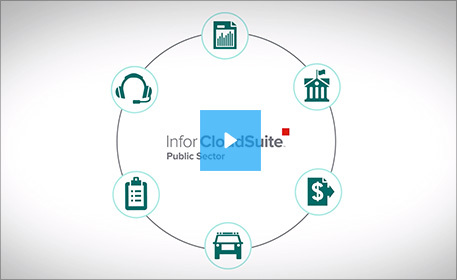 Infor CloudSuite Public Sector offers an end-to-end solution with functionality tailored to meet the complex industry demands of government, education, transit, and utilities.